The first week of October brings two events showcasing UC Davis writers — undergraduates and faculty members. • Prized Writing — A celebration of the University Writing Program's 28th annual edition of undergraduate works from any discipline. This year’s book comprises 23 pieces selected from among more than 400 entries from the 2016-17 academic year. 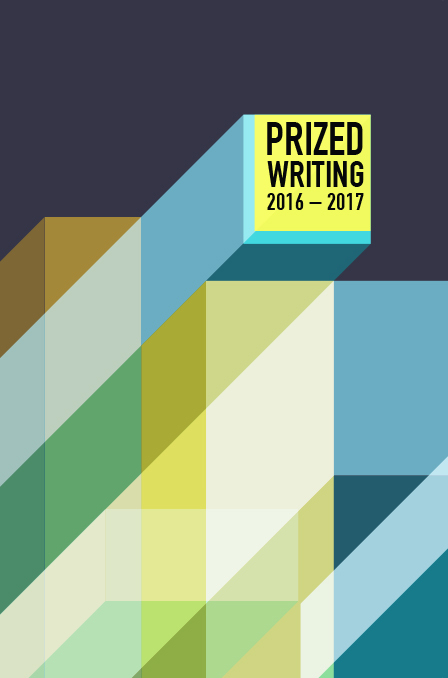 “Students can submit any nonfiction work from any course, so entries range considerably in form and content,” said Greg Miller, a lecturer in the University Writing Program, or UWP, and editor of the 2016-17 edition of Prized Writing. Student Marissa Trujillo served as assistant editor. Miller said the UWP faculty who served as jurors looked for pieces that were the best of their type, resulting in a collection that runs a gamut from the personal essay to scientific case studies and literature reviews. Some of the categories overlap, Miller said by email, but, "roughly speaking, an inventory of this year’s works might be one-third scientific/technical, with the other two-thirds dealing with history, the arts, social justice and journalism, etc. "Side by side side, these essays demonstrate surprising and evocative connections between past and present, personal and social, practice and theory, and between the various disciplines from which these students' fine work emerges." The topics of this year’s collection include essentialism and role-playing in World of Warcraft, underappreciated contributions by Filipino farmworkers in the United Farm Workers movement, legacies of the New Deal, the vexed issue of medical consent, Bach’s St. Matthew Passion, the kinship between cucumbers and melons, the speculative fiction of Octavia Butler, local food banks, Spotify, spotted owl conservation, and the city of Davis’ wild turkey problem. The Prized Writing 2016-2017 celebration, free and open to the public, is set for Tuesday (Oct. 3) in AGR Hall at the Buehler Alumni Center. A reception starts at 5:30 p.m. and the awards program at 6, honoring the student authors and cover artist, to be introduced by their mentor faculty members. Prized Writing 2016-2017 is on sale at the Campus Store in the Memorial Union, and also will be available at the Prized Writing celebration. The price is $20. • Opening Night — Now in its 11th year, this event features faculty members of the Creative Writing Program, reading their work. Opening Night this year is scheduled to begin at 7 p.m. Wednesday (Oct. 4) on the Wyatt Deck in the arboretum. Admission is free and open to the public. The participating writers: Joshua Clover, Greg Glazner, Pam Houston, Jacinda Townsend and Joe Wenderoth. Read more about them and their work.